I shop regularly at Aldi anyway but after I saw their Christmas catalogue land on my doorstep I couldn’t resist having a nosey in store to see what was new. Yes, I purchased mince pies early, partially with the thought of reviewing them at some point but more likely just to scoff them well in advance of the big day. 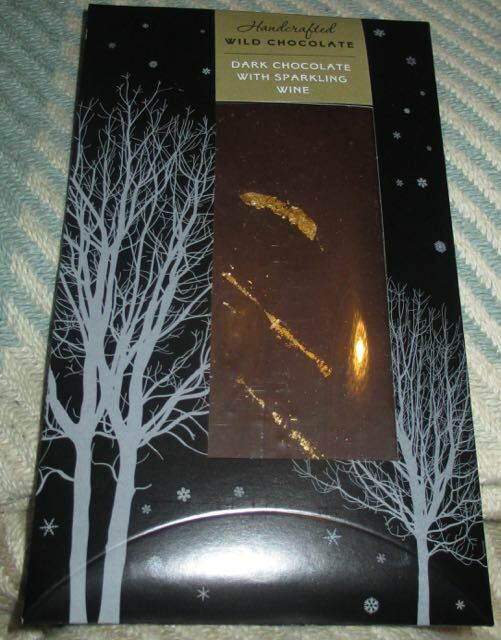 The chocolate itself has some gold coloured decorations, albeit not very many and just enough to show through the window on the packaging. It opened in the style of an envelope, which was quite posh and made it quite gift worthy. The aroma from the chocolate was surprisingly sweet and fruity and not what I had been expecting. I snapped a piece off and it did have a firm snap, despite being a thin bar. 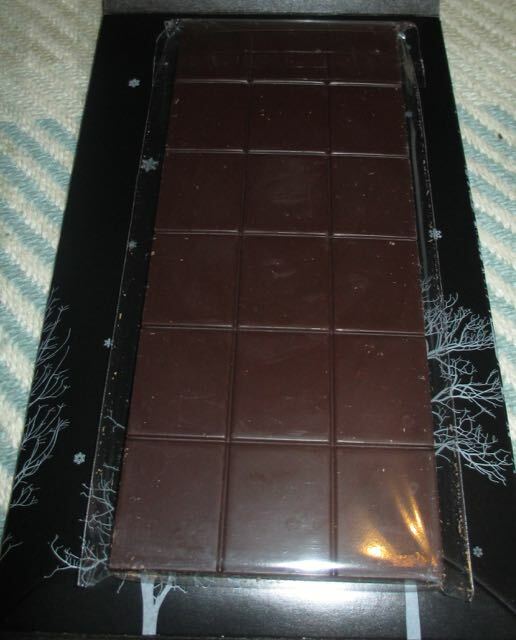 I liked the rich tone of the dark chocolate, but the main flavour here was the Sparking Wine. The flavour was rather sweet, and almost pear like. It made me think of Schloer. It wasn’t what I was expecting, but it was a very nice fruity combination. The sparkling element of the wine was from popping candy, and this had a bit of a mild crunch and lovely fizzy feel. I like popping candy, it always makes me smile. I have a sweet tooth too so really liked the bar, but if you were expecting complex dark flavours this bar doesn’t delivery that. If you are after a fun fruity bar that looks quite posh, its perfect.